For as long as I can remember, I have been surrounded by tools. As a young boy I worked summers packing orders and unloading trucks at my father's tool and supply company. After graduating from college, I immediately went to work full-time for my father and have been in this industry ever since. Over the years I have learned this business inside and out and have spent many hours using that knowledge to improve the mail order supply business. I have seen that business change drastically over the years. The most dramatic change is from a business based on the paper catalog to one based on products sold via the internet. Subsequently, after many years of experience, I decided to create my own company to do what I know best. 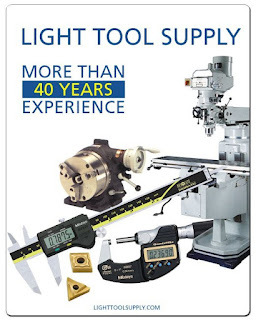 Light Tool Supply is now quickly bringing tools to loyal customers at the best prices possible. I encourage you to use our vast experience as a resource for all your tooling needs. If you see something on our website that you do not feel is the best price, please feel free to email me directly at michael@lighttoolsupply.com. I also would like you to email me or my staff with any manufacturer's Part# from our long list of vendors. Additionally, do not hesitate to contact Light Tool Supply with any of our competitors' part numbers. It would be my pleasure to cross reference those part numbers with ours and beat their prices! I realize there are many companies to choose from; I hope you will choose Light Tool Supply.